Although Bela Lugosi and Boris Karloff were partnered together in a number of films, their careers and opportunities ran at different levels. Since Frankenstein, Karloff had gradually managed to negotiate better pay and projects than his Hungarian colleague. Lugosi meanwhile continually struggled and had to take what parts he could get, earning substantially less than Karloff even when they were billed together. In Poverty Row Horrors! Tom Weaver put it bluntly: ‘The studios simply tossed Lugosi aside liked a sucked orange’. Whereas he was forced to work in an ever-decreasing spiral of quality, Karloff had the good fortune to limit his involvement with the Poverty Row studios. He did however make one horror film for the infamous Monogram as opposed to Lugosi’s total of nine notorious tours of duty beloved by bad movie fans. 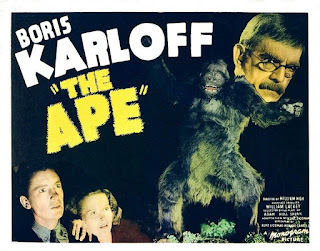 Karloff had previously top-lined five of Monogram’s Mr Wong mystery series directed by William Nigh between 1938-1940 and The Ape was to be the closing commitment to his contract, again helmed by Nigh. It certainly bears all the hallmarks of being a ‘contractual obligation album’ for the English actor despite according it his customary professionalism. It was scripted by Kurt Siodmak who would have to wait another year to produce a screenplay that would make his name: 1941’s The Wolf Man. Whilst dabbling with Invisible Man sequels, he and Richard Carroll adapted Adam Hull Shirk’s play wherein an Englishman is cursed by a Hindu priest in India for killing a sacred gorilla and thirty years later has vengeance carried out on him in America. Monogram had already filmed the story as The House of Mystery in 1934, but for this version the writers junked everything except an ape disguise adopted by the protagonist. Karloff is required to channel another in his long line of mistrusted medical pioneers, and in fact with prosaic greying hair, moustache and glasses looks very similar to the role he’d just played in Before I Hang (1940). His Dr Bernard Adrian is the M.D. of a redneck American community who seems the epitome of a kindly Little House on the Prairie country doctor. The locals are suspicious of him though over his rumoured use of selected folk as experimental guinea-pigs during a paralysis epidemic, a vague notion that the poor script never reconciles. He is very fond of the young Frances Clifford (Maris Wrixon, one of the better members of a lacklustre supporting cast). She is wheelchair-bound from Polio and for him represents another chance to do good after a same-aged girl and her mother both died under his attempted treatment. “We all have to die some time”. At least his kindly bedside manner is saved for young Frances. Here at least is an occasional opportunity for Karloff to enliven the humdrum plot, giving authority and fervour to scenes where he wills her to walk with tentative, marginal results. In the meantime, Henry Hall’s Sheriff Halliday moseys along trying to make sense of it all, tracking the elusive ape with blood-hounds. He would seek further Monogram monkey-shines with Bela Lugosi in The Ape Man (1943) and then Voodoo Man (1944). 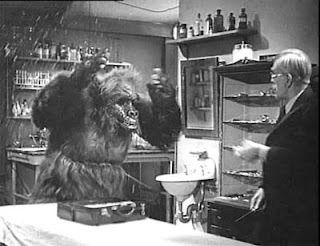 The gorilla finds his way to Dr Adrian as does everyone it seems regardless of their prejudice toward him. During an ensuing fight with him a vial of precious serum breaks before Adrian stabs him to death. Now what will Adrian do? A second fortuitous idea occurs to him. More murders are committed with the victims showing signs of spinal puncture marks. One of which, the selfish bullying money-lender Mason (Philo McCullough) at least deserves it. Could these be the handiwork of the M.D. or the missing ape at large? 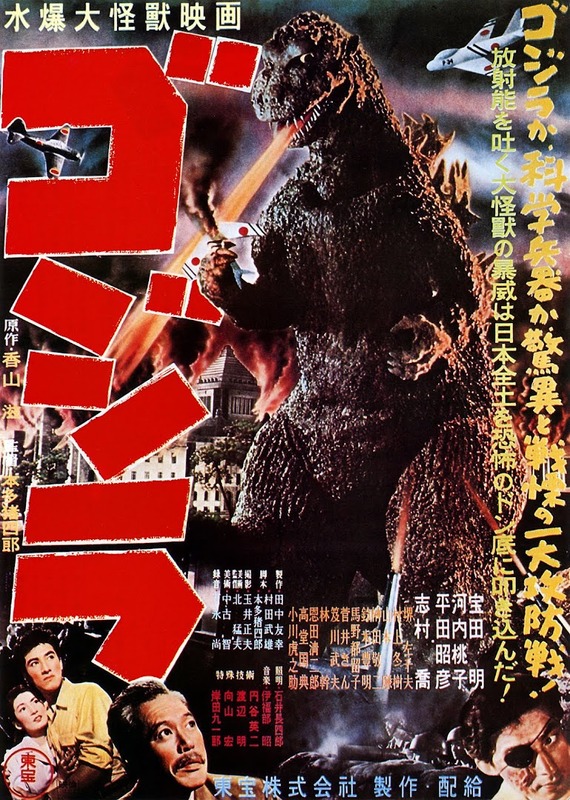 In its sole borrowing from the original stage play, the culprits are one and the same. As a dying, unmasked Adrian expires on the porch, his last redeeming act is to induce Frances to fully walk for the first time. “There. You see?” he gasps as death relieves the film’s star of any more Poverty Row filming. 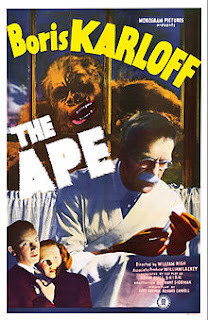 The Ape is a slapdash effort and yet more evidence of Hollywood Horror’s inability to let go of that pesky gorilla obsession. Karloff’s character is never given the means via the leaden dialogue and plot to earn our sympathy, except for a single moment where Selmer Jackson retracts his former expulsion of Adrian from his foundation twenty-five years ago for his spinal fluid tinkerings. Karloff sags against the door slightly in a human moment of vulnerability and poignancy – but “Too late…” It does not stop him from an absurd killing spree in hardly the most discrete disguise. The baton of bad horror movies would now be passed to Bela Lugosi to run ham-strung by the worst of it under the studio’s forthcoming schedule.